In the wake of the Great Migration, anthropologist Arthur Huff Fauset set out to learn more about the African American “sects and cults” springing up in northern cities. More than fifty years later, “The New Black Gods” reassess Fauset’s work, the organizations he studied and the state of African American religious studies today. 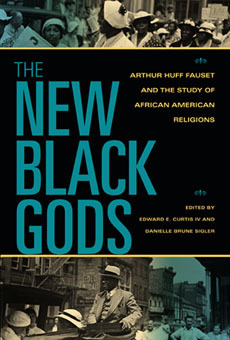 “The New Black Gods: Arthur Huff Fauset and the Study of African American Religions” (Indiana University Press, 2009) was edited by Harry Ransom Center Curator of Academic Affairs Danielle Brune Sigler and Edward E. Curtis IV. Taking the influential work of Fauset as a starting point to break down the false dichotomy that exists between mainstream and marginal, a new generation of scholars offer fresh ideas for understanding the religious expressions of African Americans in the United States. 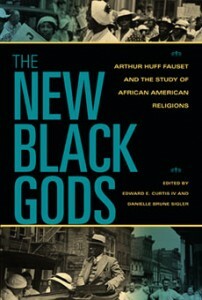 Fauset’s 1944 classic, “Black Gods of the Metropolis,” launched original methods and theories for thinking about African American religions as modern, cosmopolitan and democratic. The essays in this collection show the diversity of African American religion after the Great Migration and consider the full field of African American religion from Pentecostalism to Black Judaism, Black Islam and Father Divine’s Peace Mission Movement. As a whole, they create a dynamic, humanistic and thoroughly interdisciplinary understanding of African American religious history and life. This book is essential reading for anyone who studies the African American experience.